CSP manufactures laptop locks, desktop locks, iPad locks, security cables, locking enclosures, and other security devices. Our products help prevent theft of laptops, desktops, projectors, printers, CPU’s and other IT equipment. rely on us to keep it in place. 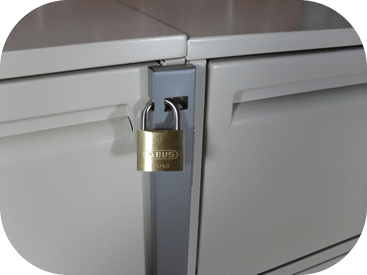 Do Privacy Laws Require Your Paper Files To Be Secure? The team at Computer Security Products was very helpful with helping me find the right product that was needed to secure my systems. [What was your favorite part of the experience? ]Computer Security Products team was very helpful with helping me find the right product. easy to work with, and ability to let customer demo items, love it! [What was your favorite part of the experience? ]Easy to work with and ability to let customer demo items. Very easy to navigate your web page. customer service follow up phone call was great even though, it was a message because I was out of my office. Thank you for sending the free Keys. [What was your favorite part of the experience? ]Very easy to navigate your web page. Customer service follow up phone call was great!